The US mint released the Wisconsin Quarter October 25, 2004, the 30th release of the 50 State Quarters program. 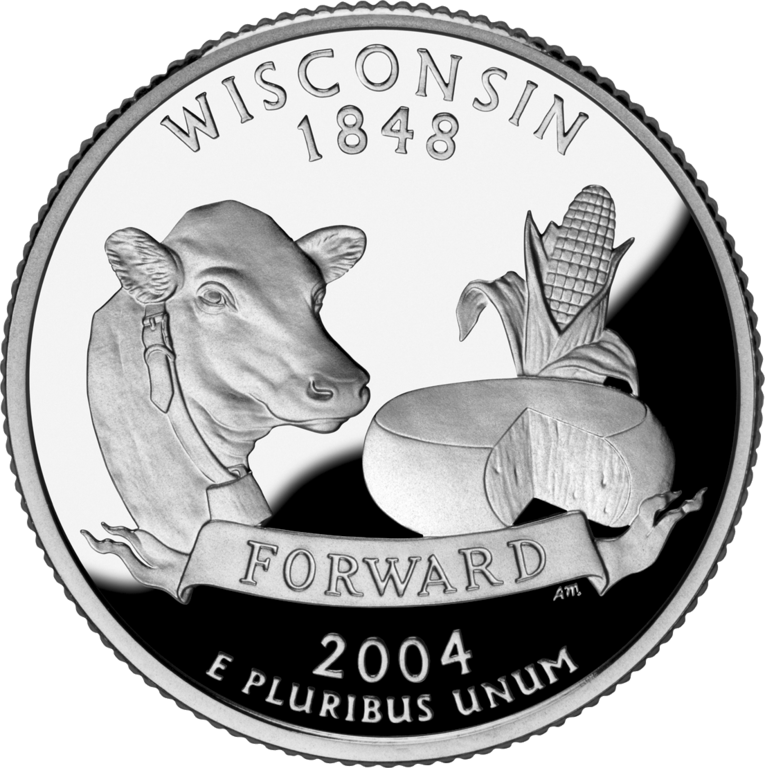 The quarter portrays the head of a cow, a round of cheese and ear of corn (Wisconsin’s state grain). The Wisconsin State Quarter had two major Die Gouge Errors during its production. The two errors are known as the “high” and “low” leaf varieties. 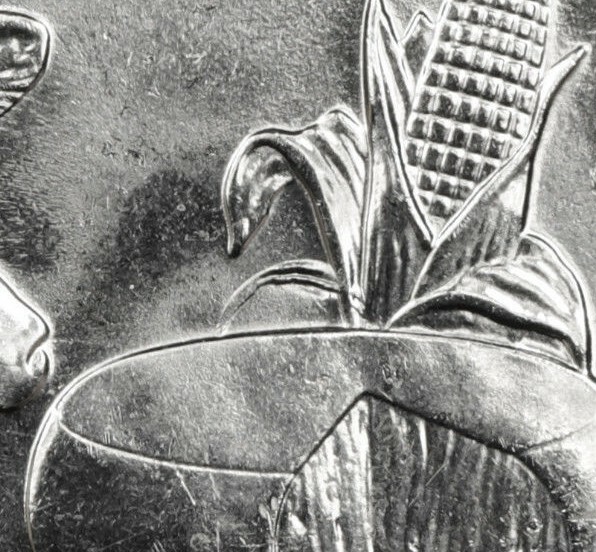 The error quarters are only found from the Denver mint. 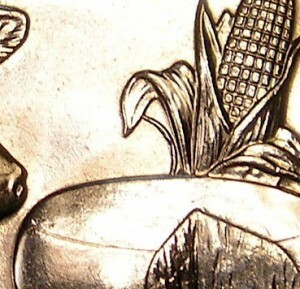 The location of the error is immediately left of the ear of corn, tucked under the open husk and just above the cheese. These errors should be very easy to spot.